Eset is throwing this at me today. Happens when I click on the "Explore" command at the top of the Forum page, no problem in the Forums themselves. (I did try clearing browsing history.) Just letting you know. Thanks. It's because the SSL Certificate expires today, I'm sure they'll get an up to date one pretty quick. Nothing to worry about. 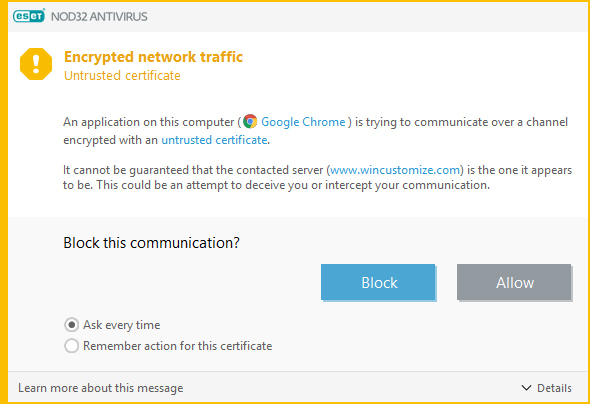 For those of you that may not know what an SSL certificate is please go here.